When talking about communism, the discussion will include the name of Karl Marx. It is one of the important people in the development of communism and socialism. He is known for the ideas on communism and socialism. Even, he is called as the father of Marxism, and the name itself is taken from his last name. Surely, it will be interesting to discuss his life and his great works. 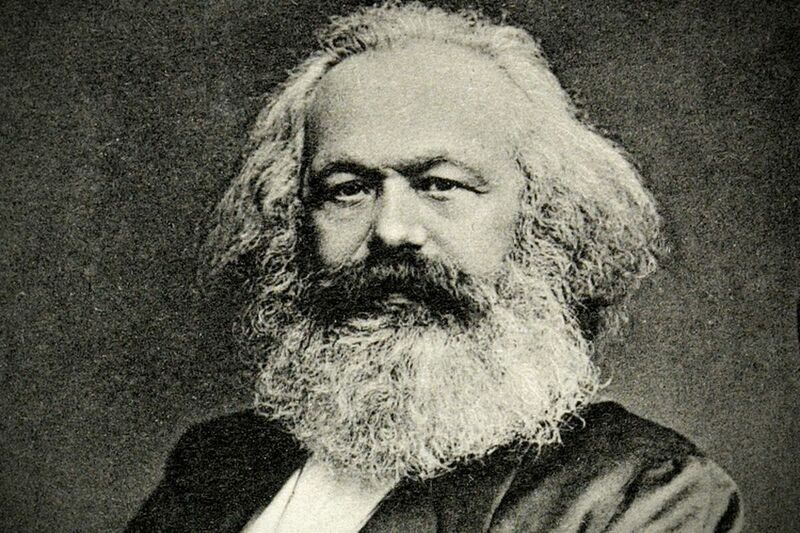 Marx was born on May 5th 1818. He was born in Western German. His father was a famous lawyer. Marx is a Jewish and his parent gave him name Karl Heinrich Marx. As a teenager, he could not be called as a good person. He involved in fights and he often got drunk. On the other sides, he was also great learners. In term of education, it becomes the important stages of life for Karl Marx. The father of Marxism learned and got many insights during his study. He studied in University of Berlin. In this university, he got the influence of Hegel. Eve, he joined Young Hegelian. Hegel and his revolutionary ideas are not the only influences obtained by the Father of Marxism. In fact, there was also Feuerbach that had contribution in setting the foundation of ideas. Combination of these two philosophers has great contribution in Marx’s career. Karl Marx was smart and active students. That was how he got job as paper’s editor once he graduated. However, government of Prussian could not tolerate the ideas spread by the newspapers where Marx worked, so he had to move to Paris. He moved with his wife, Jenny von Westphalen. Actually, his decision to move to Paris led to many greater stages of life. In Paris, he met Friedrich Engels. Father of Marxism will received great helps from Engels and both of them would create great contribution in the ideas of Marxism. When Marx was expelled from France, he went to Brussels and London. In London, the Father of Marxism started to create his masterpiece. He and Engels published “The Communism Manifesto”. It predicted the rise of proletarian revolution to remove the capitalism. The first masterpiece was continued in the “Das Kapital” or “Capital.” In the first volume, he wrote that capitalism would find and create its own destruction and communism will take the place. However, Father of Marxism could only publish the first volume of “Capital” and later Engels continued the work. It is true that his masterpiece could not be continued by him. Engels was the one to continue the work, while Marx had to struggle with his physical condition. He got stressed after his wife passed away. Then, died on March 14th 1883 and he was buried in London. The point that made Father of Marxism so popular was the revolution of Russia. Vladimir Lenin built new government and he used his interpretation of Marx’s masterpiece. Most of the ideas were used by Lenin in the Russian Revolution, so world started to recognize Karl Marx as the Father of Marxism.